Diary of Smells: Shards (Estilhaços) is an olfactory book-art and an installation in progress. From the shards of broken wine glasses emerged a memory smell of a forgotten moment. 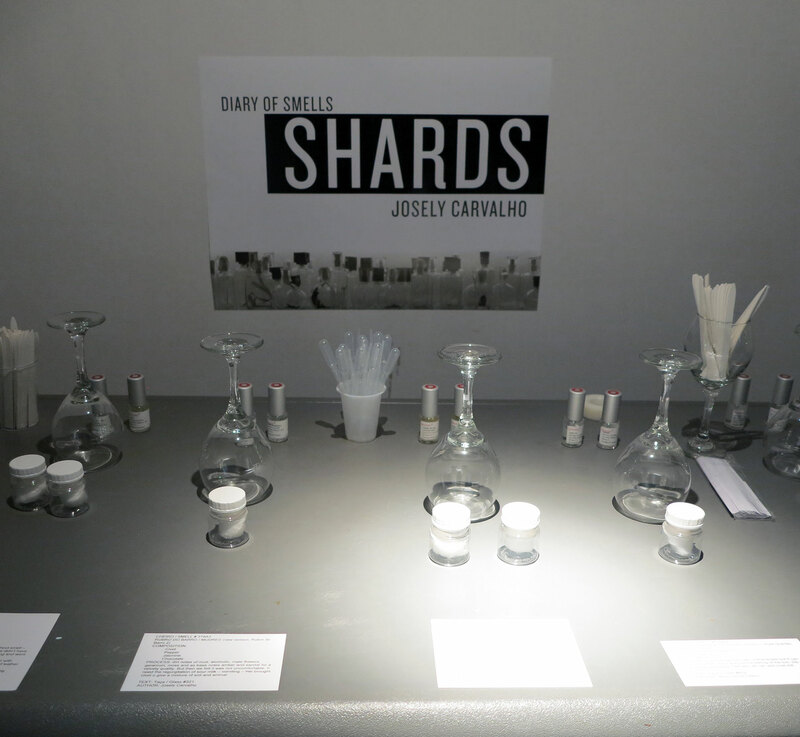 The first installation of the project Shards/Lab, was presented as a Smell/Laboratory on November 2013 at ARTSCI Gallery at UCLA.